Agate Export offers you Black Agate Chakra Sets with Golden Print. 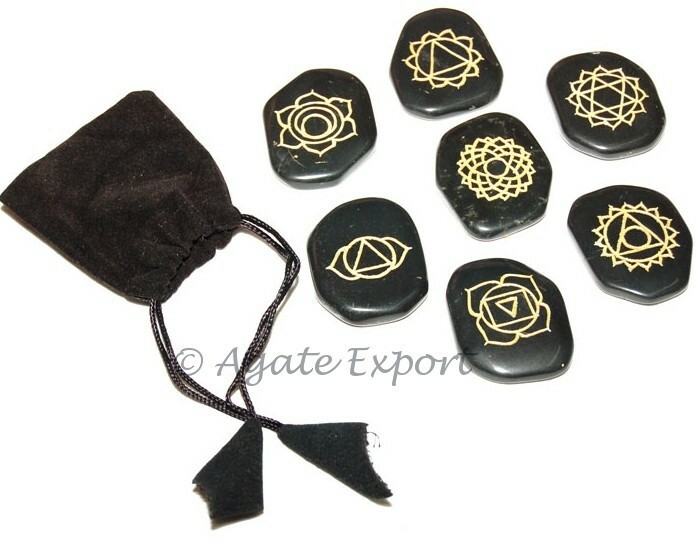 The stones are carved from black agate and have gold print symbols on them, which relate to body chakras. These chakras will remove blockages and balance the chakras in the body.